← World-building: Showing What Isn’t There. The journey towards developing a book cover is going to be an adventure. A couple of years ago, when I was considering self-publishing, I got as far as contacting a cover artist. We did a first instalment, then I stopped asking for further work because I was pitching Avians to small presses. For anyone not familiar with this side of publishing, self-published authors pay for their own cover design, and have creative control over it: the artist, the design, the budget, everything. If you sign with a press, even a small one, they take over all that. Let’s ponder that for a moment. When you sign a publishing contract, you cede control of the cover design. Editor Robert Runté gently pointed out to me that the art director’s job is not to please the author, it’s to make people pick up the book. Preferably the right kind of people: prospective readers in the target market. So when the Lorina Stephens, the publisher, asked me what kind of art I’d like for Avians, I was glad, but cautious. “If it was up to me”, I said, “I’d jam a girl, a glider and a honking great airship on the cover.” A picture of some main things from the text, in other words. This kind of cover is good in several ways. Firstly, it shows the potential reader what they’re getting. If they don’t want a book about girls and gliders, they should move on. Secondly, it may spur enough curiosity to get someone to pick the book up and turn it over to look at the blurb on the back cover. Thirdly, it’s an opportunity to show some stuff that the reader may want help visualizing. What does a solar-powered airship look like? In the case of Avians, this is no small request. A lot of book covers are based on photographs, but there’s not a lot of stock photography for ringed planets or futuristic airships. Basically, I’m asking for a full-on illustration from scratch. 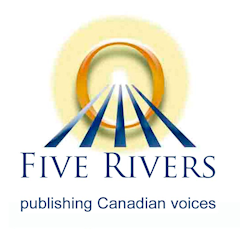 Five Rivers seems to be taking my remarks at face value: they have introduced me to Ann Crowe, an illustrator who does both line-art and computer graphics. I am delighted. I first conceived Avians as a graphic novel—long story, but my writing skills are more developed than my illustrative ones— and the cover may yet have something of that style. Ann and I seem to have a similar vision. When I mentioned that it would be nice if the airship could have an organic, shark-like shape, rather than the ribbed cylindrical form of historic airships, she replied that she was already fascinated by a whale-like airship she found when looking for reference images. There’s one other truth about cover art. The artists have work to do, they don’t have time to read the book. If you’re lucky, they’ll look over some key excerpts. So when Ann asked if she could have a copy of the manuscript, I didn’t know whether to laugh, cry, or do fist-pumps. She says she wants to take a break after her finishing her current project, and reading the book would provide that, while also helping her get prepared to do a cover that really suits it. I believe my baby is in good hands. Nice 🙂 I can’t wait to see what she comes up with!